Kori Ashton shows you how to make your WordPress site stand out with a new page layout. These WordPress themes with different layouts are just what you need to give your site a new, cool user experience! Hey y’all, welcome to another WordPress�Wednesday. I have to give a shout-out�right away to everybody who attended�word camp San Antonio 2017. You guys, that�weekend was amazing. Thanks so much for�all the awesome encouragement, and I hope�that you’re finding this YouTube channel;�if for the first time, you’re gonna be�able to click around and find all sorts�of really cool information here. 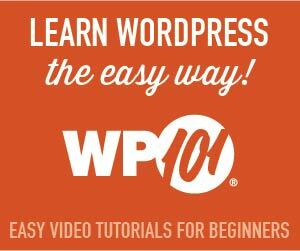 We have�over 200 videos and every single Wednesday I’m creating something like�this to help you inside of your�WordPress world. So stick around, stay�with me, and hang out every Wednesday. Today I want to show you five totally�different layouts, some themes that you�might not know existed in case you’re�just bored with the usual and very, very �typical layout where you have a logo�over here the menu over here and stuff�down the page. I want to give you some�new ideas, some new layout concepts and,�the first two I want to show you are�inside of elegant themes, these are two�themes. So the first one is called Gleam.�Check this out. This is a really unique�website where I can’t actually scroll�anywhere but look right here; the menu�gives me something totally different so�when you’re hovering over this– really�cool– your logo can be right here in this�space. Hover over, click about, the user�experience is just beautiful in this�whole theme. Just a really cool concept,�and click through and go to portfolio,�blog, and click through here if you have�beautiful imagery. So this theme is�really spectacular and something totally�different like we haven’t seen in a long�time so check that one out. I’ll put the�link to any of these in the description�box below. The next one is another�elegant themes template called Origin�and look at the user experience here,�just incredible. So you can imagine kind�of this beautiful gallery type of layout�of all your different blog posts. When�you click in the user experience still�allows the menu to be on that left�side. Really cool structure and layout�down the page. Of course you want to keep�in mind you really don’t want a super�long menu over here so if you have a�short option for a few menu items you�can have that here. Really cool though�how it even opens up and allows people�to just kind of browse through the�website. So really cool user experience in�these two. Again they’re both from�elegant themes, I’ll put them in the�description box below. Avada! We all know Avada exists, but did�you know that there’s two really cool�child themes inside of it? So when you�purchase it you get these child themes�in here. And the first one I want to�highlight is the Cafe, this is a�beautiful layout. Again, we see the menu�running down the left side, but look at�the scrolling. It’s just beautiful. As it scrolls up there’s this really cool�parallax effect that can happen, the�layout is just minimal and beautiful. I�really like the idea too of this darker color palette. It’s not fully a dark, dark�black but it still gives you this really�nice kind of elegant tone. So beautiful�themes, check that one out, and another one inside of here is for an app.�Now this�might look pretty standard, you know the�logo on the left side the menu across�here, but watch as we scroll down and�it’s actually now the scrolling up, I�want you to see this really cool user�experience that’s highlighting the app’s�capabilities here. Watch the phone for a�second, watch as we scroll. Look at that,�such a cool effect, as I go screen to�screen we get to see the phone stay in�place and those images kind of change as�we’re highlighting different features of�the app. Super cool user experience and,�again, I’ll put the link to this Avada mobile�app child theme down below in the�description box. And the last one I’m�gonna show you is a free theme, at least�you can start out free, with a Sydney�theme. 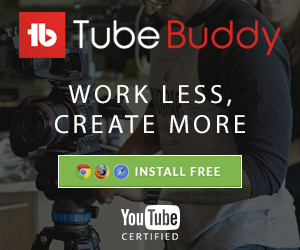 Really cool theme here, a lot of�really cool options, and this is in the�budget of free. And if you do want to�upgrade you can certainly do that as�well to go to the pro version for this�theme, the Sydney theme. It’s a little bit�standard with the logo on the left side�in the menu across here, but other than�that got some really cool features, I�hope this helps you. I will see you next�WordPress Wednesday, bye y’all!